How To Install Remix OS 2.0 on iMac & MacBook. Have a Mac? Didn't find a guide to install Remix OS 2.0? You are at the right place! Remix OS 2.0 is the latest version of Remix OS, It is yet to launch officially and leaked version of the Remix OS 2.0 was found. The screenshots of the interface were so tempting that I wasn’t able to stop myself from downloading the entire OS. I downloaded the Remix OS 2.0 but was confused with the installation, so just gave it a try and it worked like charm. Now I’ve created a Bootable USB drive with Remix OS 2.0, However, the method which I’ve used only works for the Windows OS. And doesn’t seem to work with MacBook Air, MacBook Pro and iMac’s and was keen to help people who owned Mac’s and wanted to test the Remix OS 2.0 and ended up finding the best steps to install Remix OS 2.0 on Apple products. So I’ve created another guide to help people who own MacBooks, iMac’s to create a Bootable USB disk for Booting Remix OS 2.0 on their MacBook’s. If you are not aware, the Remix OS 2.0 can be used in two modes, the Guest mode and Resident mode, by using this method you will only be able to use Remix OS 2.0 on your MacBook/iMac in Guest mode. 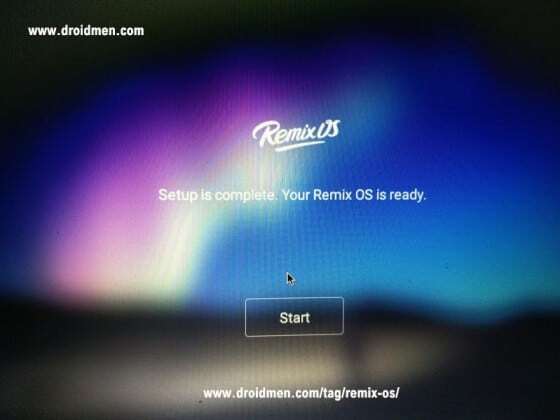 How to Install Remix OS 2.0 on MacBook & iMac. Creating a Bootable USB disk on Windows System is very easy, There is a Remix OS USB Tool present which writes the “Remix OS 2.0” to the USB. But in MacBook or iMac it is going to be a bit tough, but don’t worry, I’ll simplify it and help you with installing the Remix OS 2.0 on OS X.
Remix OS 2.0 ISO File. MacBook Air, Macbook Pro or iMac. Step 1: Download the Remix OS 2.0 ISO File. We’ve already posted a link to Download the Remix OS 2.0 using Torrent Client in one of our previous post: Download Remix OS 2.0. The download link requires a torrent client, if you don’t have one, I’d suggest you to download a torrent client for your Mac. After downloading you will see two files, one would be the Remix OS 2.0 and the other would be the Remix OS USB Tool. However, the Remix OS USB tool won’t work on MacBook’s or iMac’s. Once downloaded, You are supposed to rename the ISO file as “RemixISO.iso” and put the ISO File on the Desktop. Step 2: Convert “RemixISO.iso” (ISO) to “RemixISO.img” (IMG File) to make it compatible with MacBook or iMac. The “IMG” File type isn’t compatible with the Mac and that’s the reason why you weren’t able to create a bootable USB for your Mac. Copy the below lines to the terminal and you will be able to convert the RemixISO.iso to RemixISO.img. The Terminal will give an output file with the name “RemixISO.img.dmg“. Rename the file and remove the “.dmg” from the file name, so after renaming the name will look like “RemixISO.img“. After doing it, head to the next step. 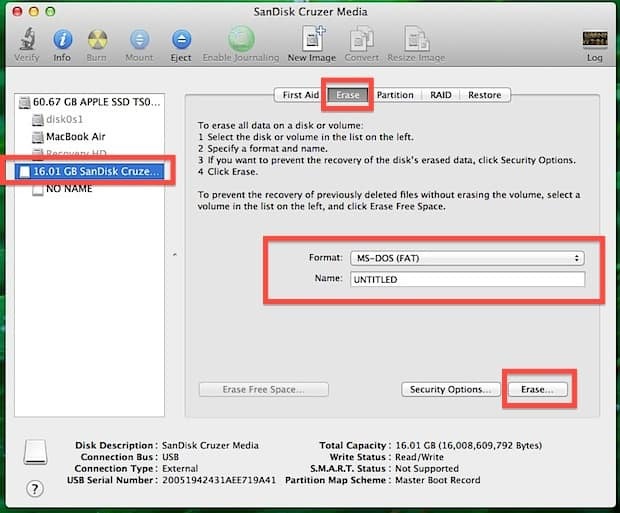 Step 3: Format USB Disk using Disk Utility. Open Disk Utility and Select the letter of your USB Drive and Format it and select the Format as “MS-DOS (FAT)” and click on Erase. Doing this will delete the entire data on your USB Drive, so if you have some important data on your USB disk, then it is recommended to take the backup of those files to your HDD/SSD. Step 4: Make the USB Bootable with Remix OS 2.0. So now when we have the Remix OS’s IMG file ready with us, It’s time to write it to the USB and make the USB Bootable. So follow the below steps to make the USB Bootable. 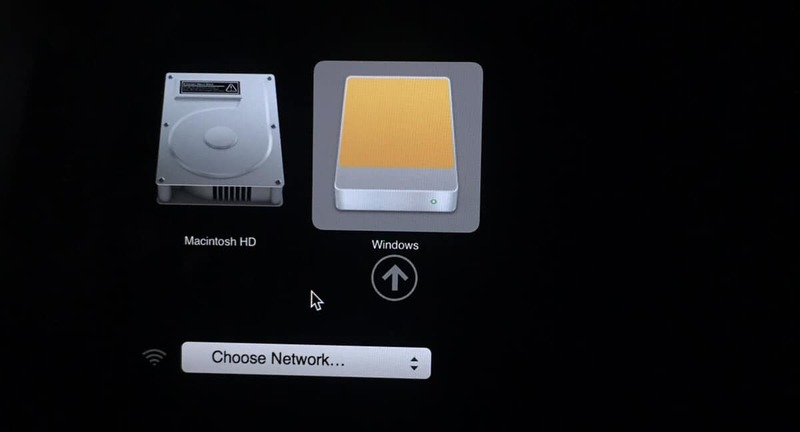 This command will list all the drives which are connected to your Mac (MacBook/iMac). Note down the number of your USB disk and note it somewhere, and continue typing the below commands in the Terminal. Replace “X” with the USB disk number found by following the above steps. After entering the above command in the Terminal, Turn off your Mac and hold down option key and you will see two options to boot. You can check the Image below. Press click enter on the Windows to continue, if everything is fine and the OS is properly set in the USB drive then you will see the boot up screen (Blue screen), now follow the next step. Step 5: Select the Mode in which you will use the Remix OS 2.0 – Guest mode or Resident mode? The Remix OS 2.0 can be used in two different modes – Guest mode and Resident mode, Resident mode will save your data and can be accessed next time without your USB drive. However, Guest mode will require your USB Drive and won’t save any of your data on Remix OS 2.0. If you select the guest mode then, that’s all done with “Creating a Remix OS 2.0 Bootable Drive for Mac’s (MacBook/iMac’s)”. If you want all the data on your Remix OS 2.0 to be saved then you can get set with the Resident mode. However, for Resident mode you will have to complete one more step. It will boot in to Remix OS 2.0 within two to three minutes depending upon your System configuration. That’s it you’ve successfully installed the Remix OS 2.0. Now follow the below steps to set it up. Step 6: Setup Remix OS 2.0: Language Selection & Acceptance of User Agreement. 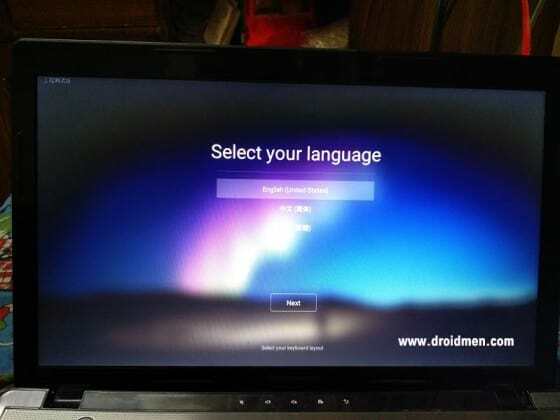 You will be seeing the screen with “Remix OS” written on it, it will take 2-3 minutes and you will have a screen where the languages will be listed and you will have to select the language which you will be using on Remix OS 2.0. Select the Language in which you want the Remix OS 2.0 to operate. Last step while installing the Remix OS 2.0 on your computer system. 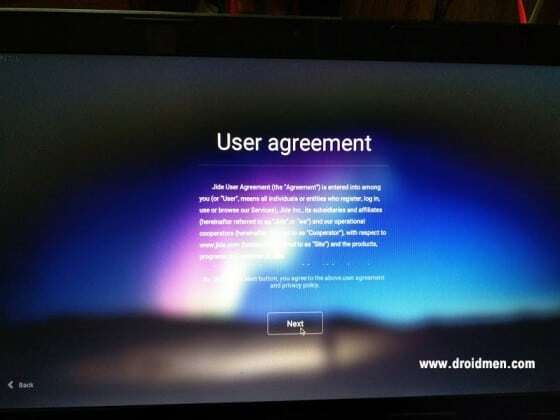 After selecting the Language you will have to accept the user agreement and click on “Start” and that’s it you’ve even setup the Remix OS. You will now be able to use Android Apps or say Android OS on your Mac without any emulator or being dependent on any other operating system as a base. Remix OS doesn’t save your previous settings. 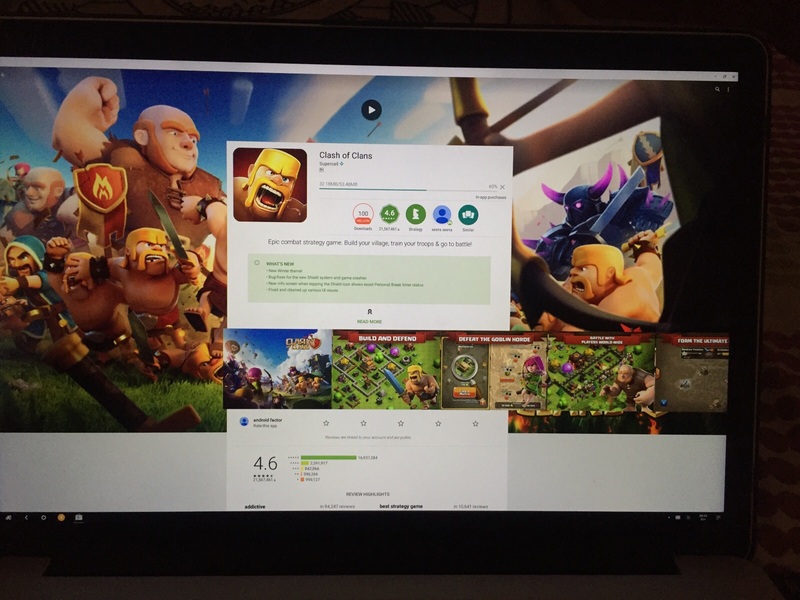 Tried clash of clan – Showed up black screen but sound is coming. Touch input instead of mouse pointer. Tried installing it? Faced any issues? Why don’t you just comment down the issue here and I’ll try to come with a solution. Done with the Installation? What Next? Here is our guide to Install WhatsApp APK on Remix OS. 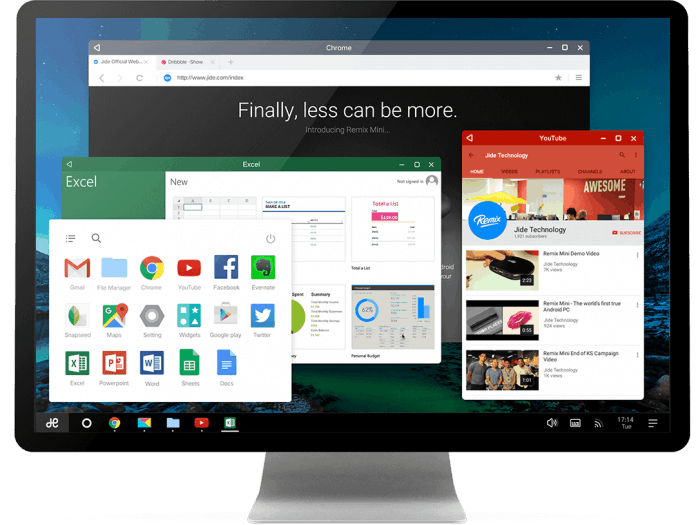 Have Queries about the Remix OS 2.0? We’ve created a thread answering the FAQ about the Remix OS 2.0. Previous articleHow To Install Remix OS 2.0 on your Computer or Laptop. Next articleHow to Install WhatsApp on Remix OS 2.0 ?